lightharmony Evening at Dark Spruces lake, High Tatras national park, Slovakia. Flowing clouds were creating outstanding theatre, changing every second. 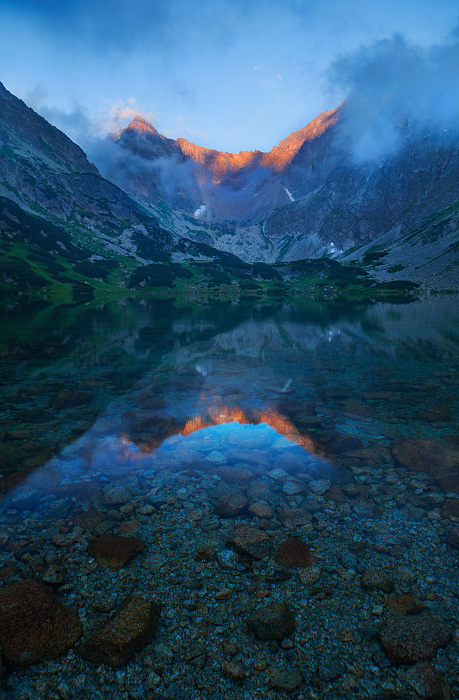 Evening at Dark Spruces lake, High Tatras national park, Slovakia.